Christmas is right around the corner and will be here before we know it! Yippee!! In fact I just bought my first Christmas present this week. Only a million to go! Or at least it feels that way. But, I’ve got my gift tags ready thanks to Erin and DCWV. Using the Christmas Combo Speciality Sticker Set and several DCWV Card Sets I helped to make an assortment of holiday cards and tags that can be added to any gift or package. 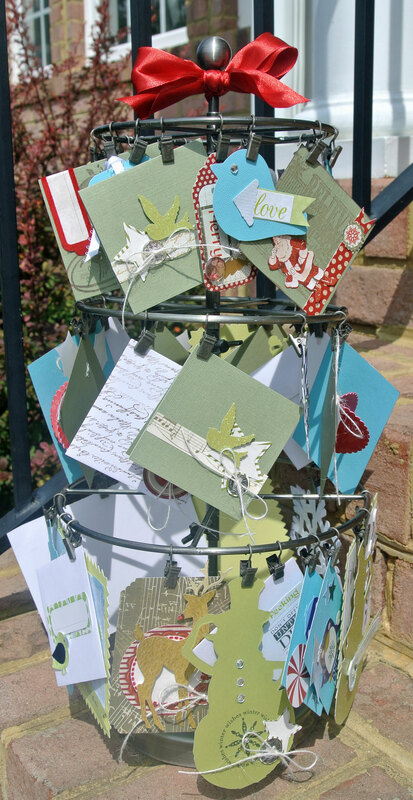 By simply grabbing a few stamps, punches and embellishments the tags came together easily. Erin even shows how to make several of the tags on the DCWV Deals Show on My Craft Channel.com. The best part is there is a wide variety of images and styles that covers everybody on my list from the oldest to the youngest. Now I just wish the shopping was this quick and easy. Maybe Erin can help with that too! Project supplies can be purchased at http://www.DCWVDeals.com. I think there are some coupons floating around, so make sure you check out the DCWV blog too. « Who invited the clown? Wonderful tags & so well organized too! 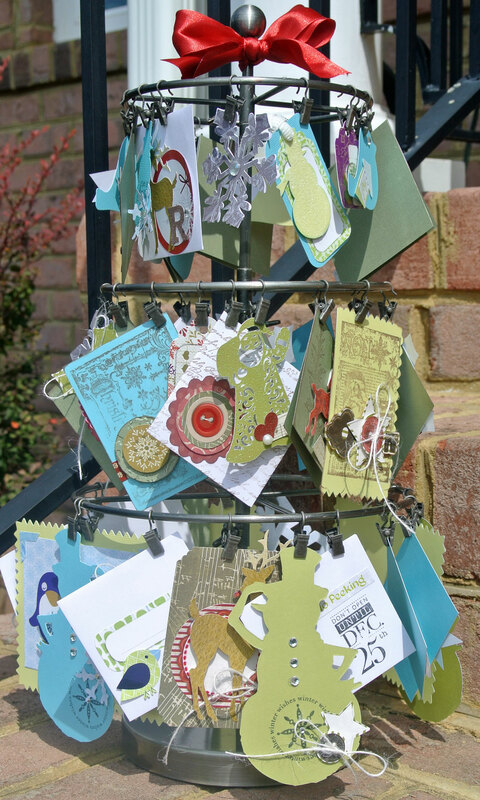 Love your tags – great idea to have several available! 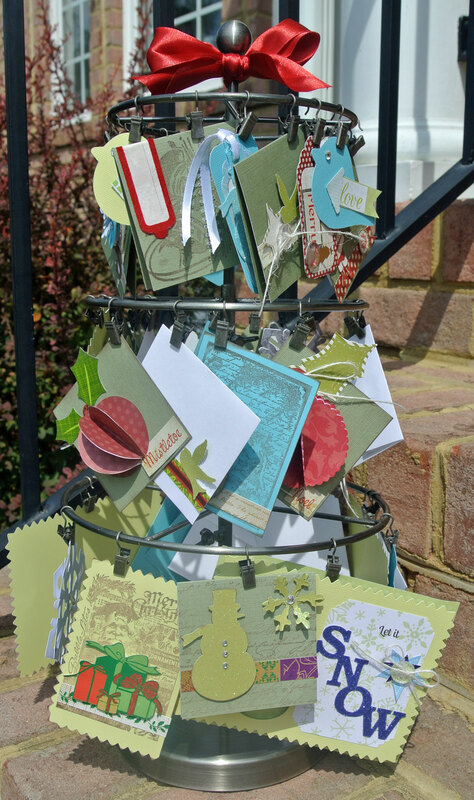 And super cute display idea! Happy Shopping and thanks again for the roundabout of fun!!! Very cool! Let me know if Erin CAN help with the shopping…or at least the ideas! !